Maurice Gower was born on 29th September 1931. His parents were dairy farmers on the Peel Estate at Mandurah. He left school at 14 to help his father with a War Service farm at Pingrup. It was not a successful venture so his father took up bus driving and Mo worked as a telegram messenger with the GPO in Perth. Mo was familiar with horse riding and met the Head Stockman of a cattle station near Fitzroy Crossing who offered him a job. In December 1948, he took the passenger ship, (the Kangaroo') for Derby. He worked as a stockman for 2 years for 10 pounds a week with board. He worked for the Main Roads Dept. in 1950 for 16 pounds for an 8 hour day. He became a grader driver and soon met his future wife Juanita Tolentino who was a telephonist at the Broome Post Office. He rode a Norton's motor cycle at the time and it was his job to pick up the mail for the Main Roads crew. Maurice and Juanita were married in 1952 by Father Joseph Kearney. They raised 4 sons and a daughter. In 1954 Mo worked as an engine driver at the D.C. power station in Broome for 9 years. In 1963 he worked for the 'Harbour and Light Dept.' who were controllers of the old jetty at town beach. In 1966 with the construction of the new jetty Mo was the assistant Wharfinger until 1974 where he was elevated to Port Manager, a position he held until 1994. He retired in 1966. In 2012 Maurice and Juanita celebrated 60 years of marriage. 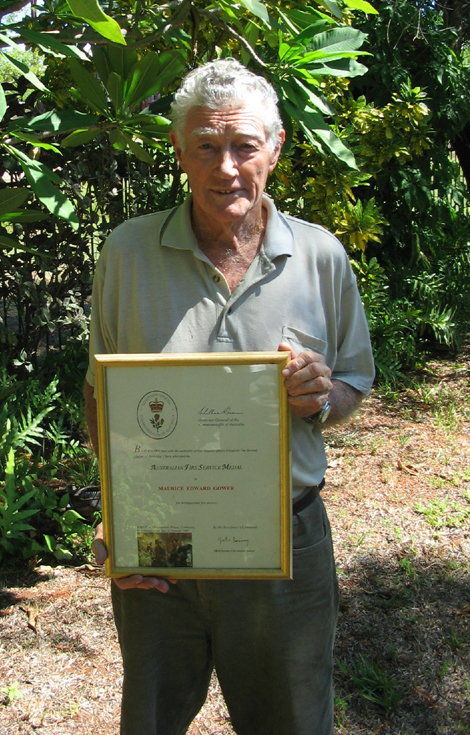 Mo was instrumental in forming the Broome Volunteer Fire brigade in 1971 and elected as Secretary/Treasures a position he held until 2001 when he was awarded the Australian Fire Services Medal for 30 years service as a volunteer Fire fighter (see below). In 1991 he was made a life member. 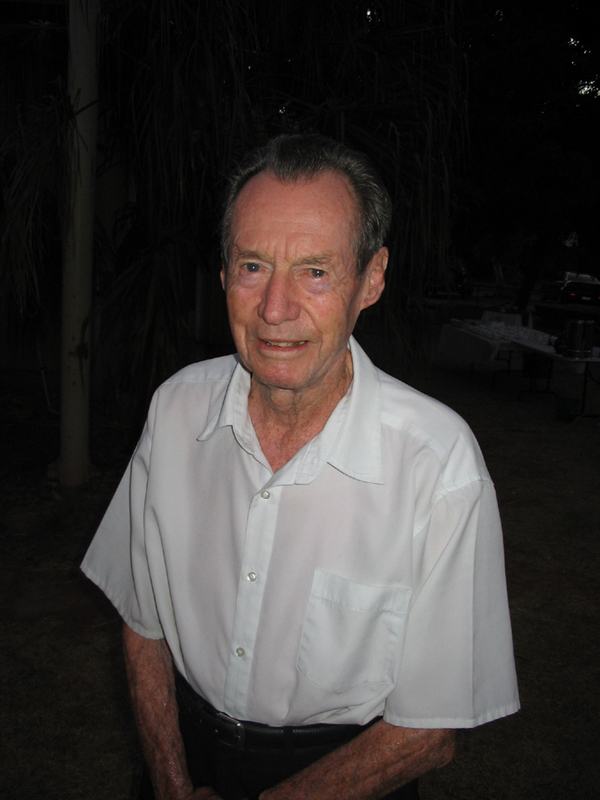 He was also a foundation member of the Broome Bowling Club in 1981 and held the positions of Club president, Captain and Committee member for various terms. He became a life member of the Bowling Club in 2001. Mo played footy in Broome for Towns and Commonwealth in the 1950's. Maurice (Mo) Gower April 14th 2012 the Australian Fire Services Medal for 30 years service as a volunteer Fire fighter.